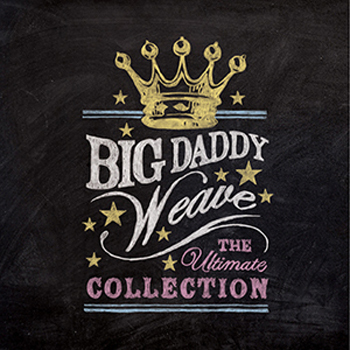 Popular worship band Big Daddy Weave will release a collection of their biggest radio hits and fan favourites on an album titled 'The Ultimate Collection', to be released on 20th September 2011. The fifteen-track album also includes their brand-new single 'Love Come To Life'. The album features all of their most popular songs including 'Every Time I Breathe', 'Audience of One', 'In Christ', 'Fields of Grace', 'Without You', and 'What Life Would Be Like' (see complete track listing below). Known for their poignant messages and words of encouragement through song and lyric, the band chose each track because of its resonance and lasting impact on listeners. The band is composed of Mike Weaver (lead singer), Jay Weaver, Jeremy Redmon, Jeff Jones and Joe Shirk. 'The Ultimate Collection' spans Big Daddy Weave's 10-year-career by including tracks from all five of their studio albums. The band kick off their 'Love Come To Life' tour on 16th September in Holly Springs, North Carolina, traveling to 15 US cities before finishing in Jefferson, Wisconsin on 12th November. Presented by World Vision, Big Daddy Weave will be joined by Luminate and Kerrie Roberts.